Does Your Elderly Parent Need Care? 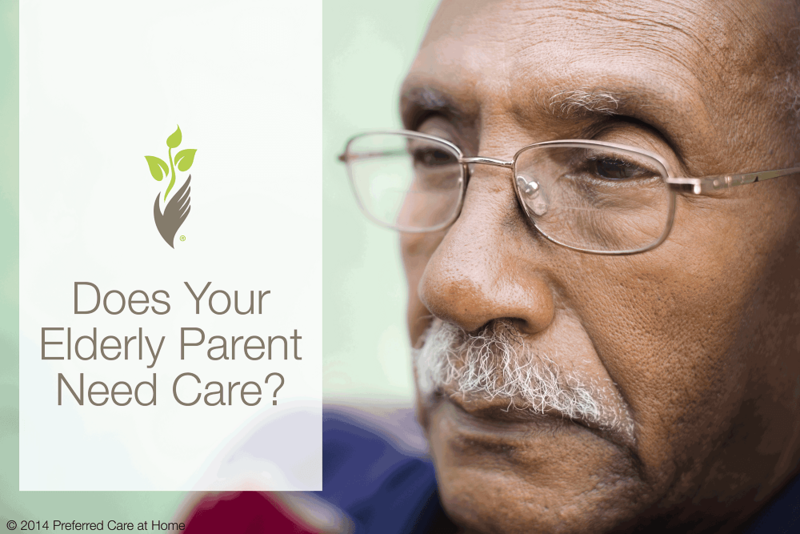 Is it time to start elder care services in your parents’ home? Should mom move in with you? Is it time to look for a care facility? Is keeping up a home too much for your elderly parent? Is it time to take the car away? These are very common questions that adult children are often forced to answer when responsible for the care of an elderly parent. When is the right time to ask for help? 1. You are responsible for your elderly parent’s errands. Have you slowly taken over all your mother or father’s errands? From picking up the groceries, to keeping track of the doctor’s appointments, your scheduled is filled with your elderly loved ones errands. While the routine shopping trip may be enjoyed by you and your senior loved one, the constant management of your parent’s home can slowly become a burden. 2. You are concerned about your elderly parent’s driving safety. If you haven’t driven with your mother or father in a while, take a drive with them. How confident do you feel? How is his or her reaction time? Concerns about your loved one’s driving safety is often a sign that it is time to ask for help. 3. You worry your aging loved one will slip and fall. The safety of your parent is a huge concern. Falls are the leading cause of injury-related death among seniors and the leading cause of nonfatal injury related hospitalization for trauma according to the Center for Disease Control and Prevention. The fear of falling is often one of the first signs that home care is needed. 4. You’ve noticed a decline in the dress and hygiene of your parent. When you visit you may notice that your mother’s clothes are dirty, or your father is still wearing his pajamas. These are signs that the dress and hygiene of your aging parent is beginning to suffer. If you notice any of these signs in your elderly parent, don’t hesitate, get some extra help today. The right support can provide you with peace of mind that your loved one is getting the care they need. Contact a location near you to learn more about our senior home care services.